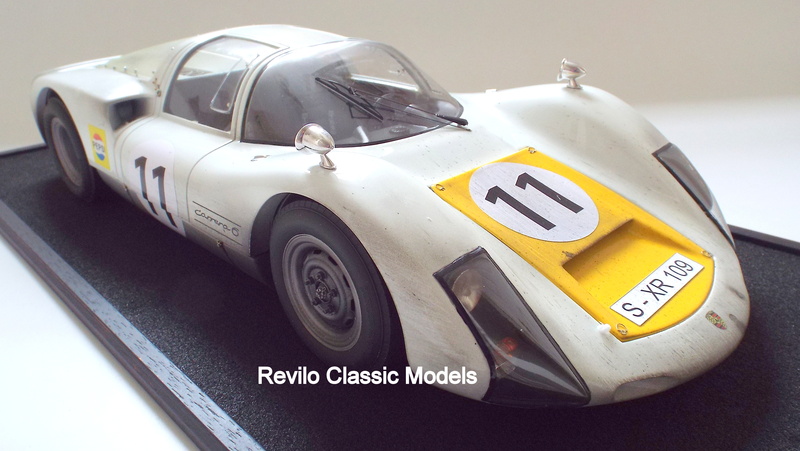 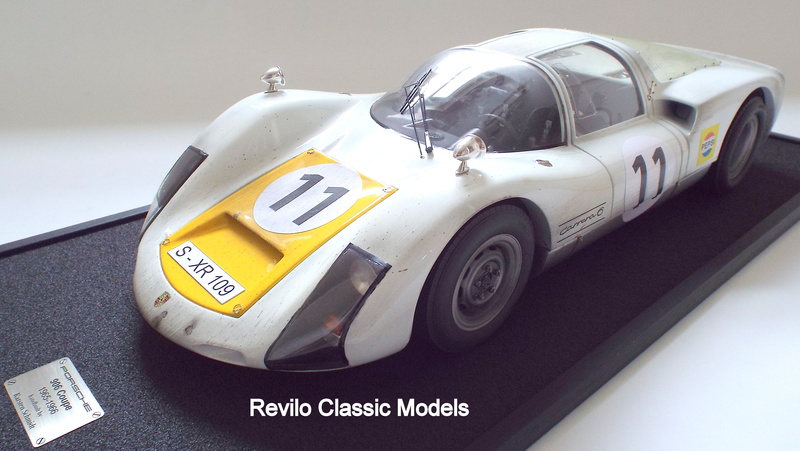 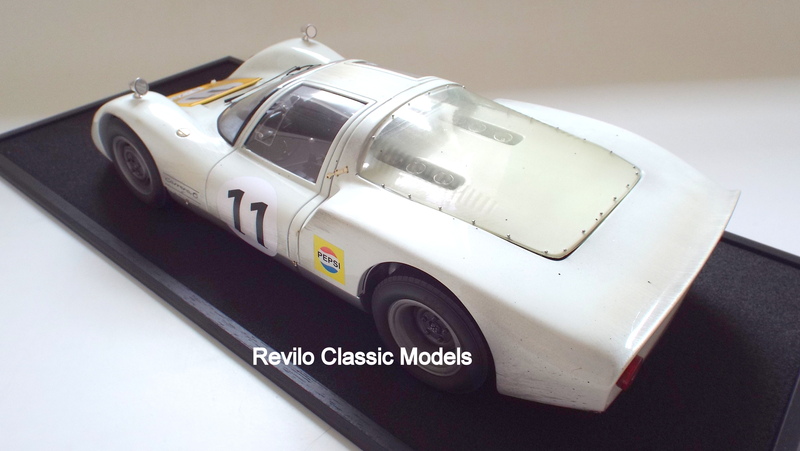 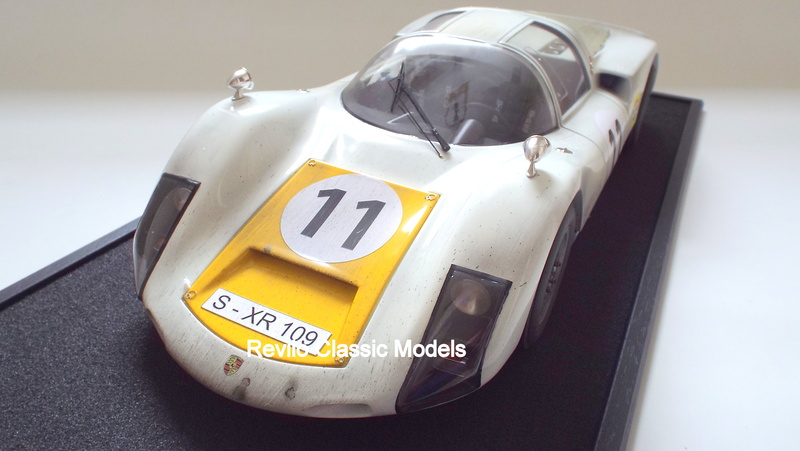 This is a superb large scale, hand built ‘kerbside’ model of the Porsche 906 Carrera 6, made by the German model maker Karsten Schmidt. 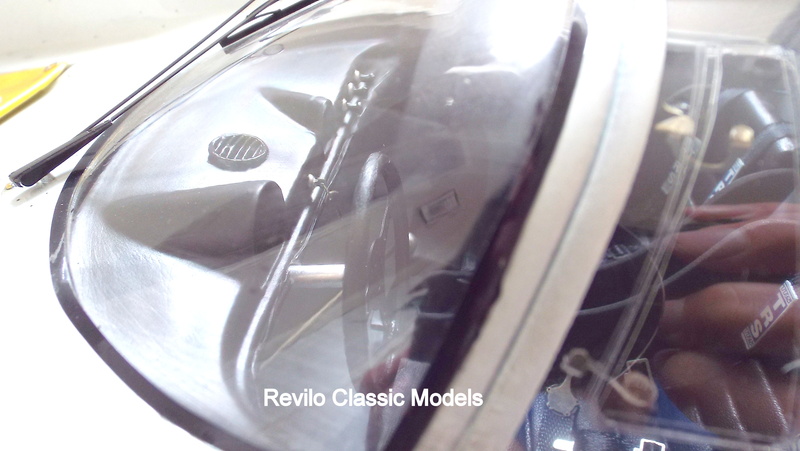 This is a brand new, built in 2018 model. 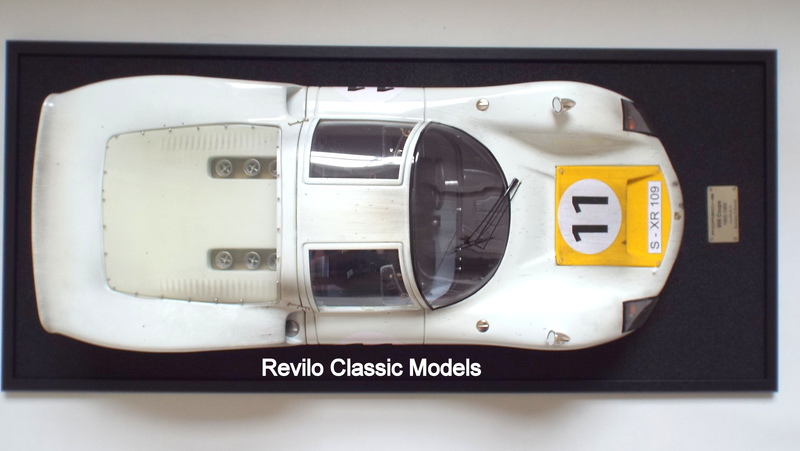 It is presented as it finished a race with all the marks of endurance racing to give an authentic post race look, the way Le Mans winners are displayed after their win. 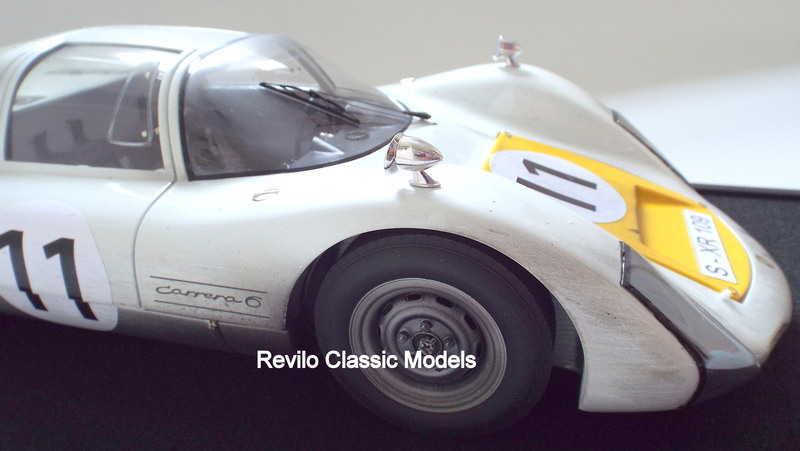 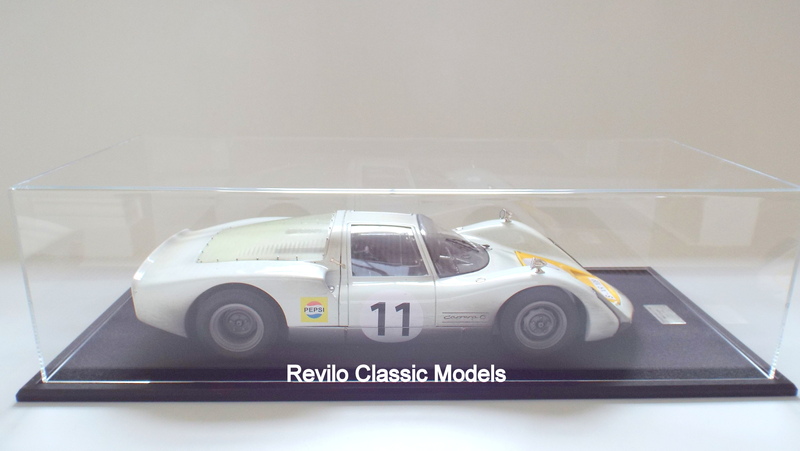 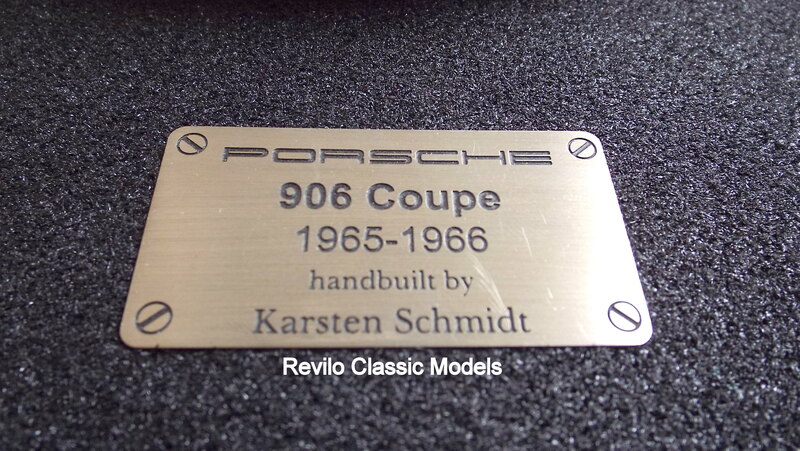 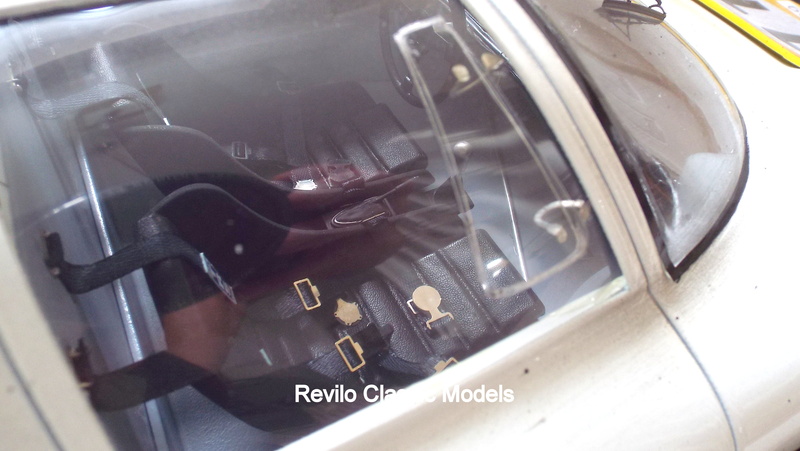 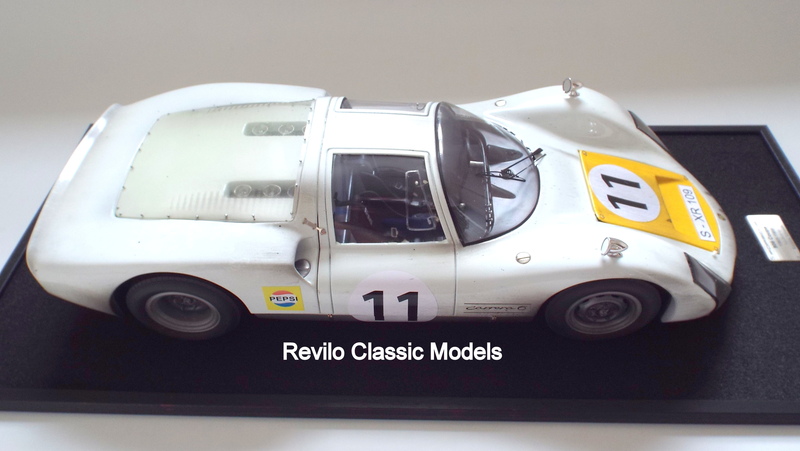 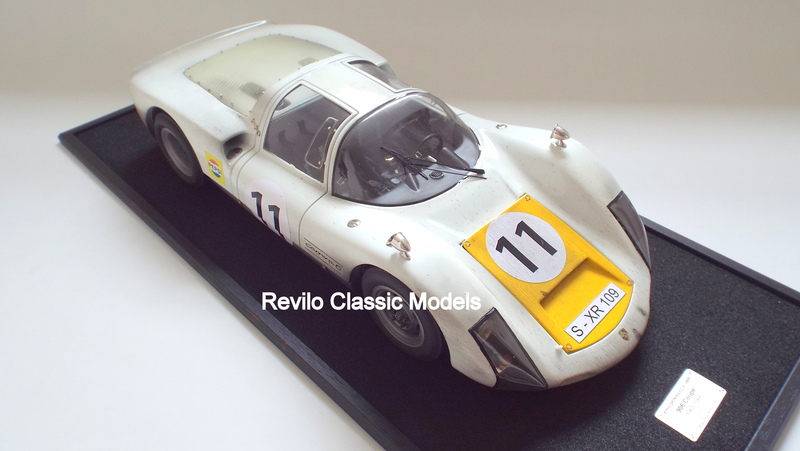 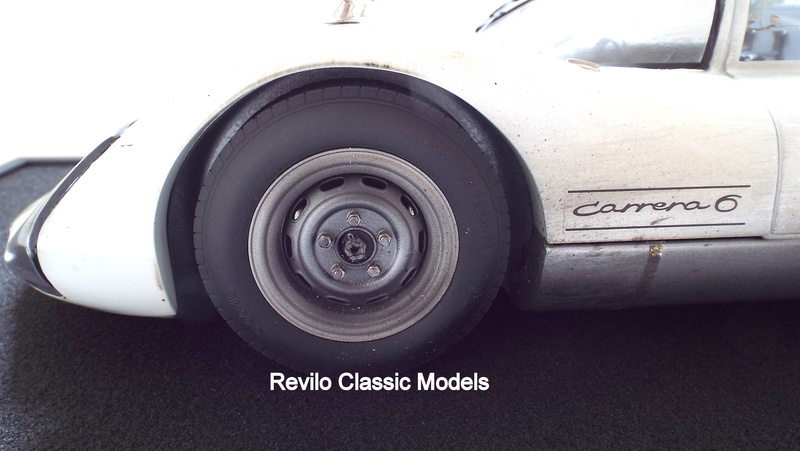 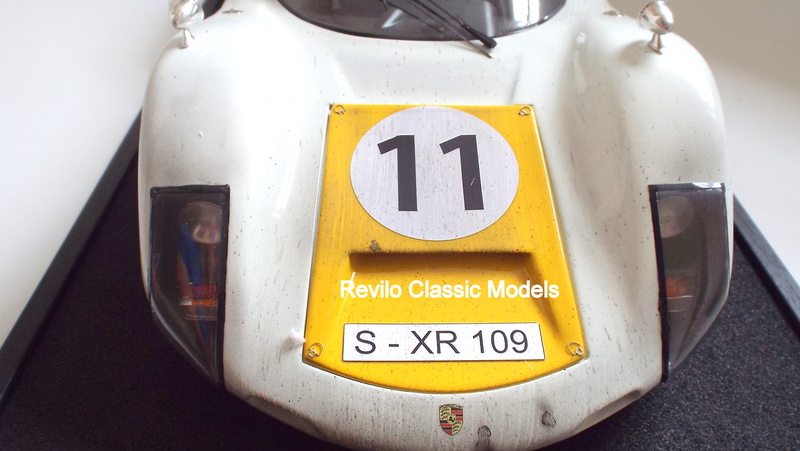 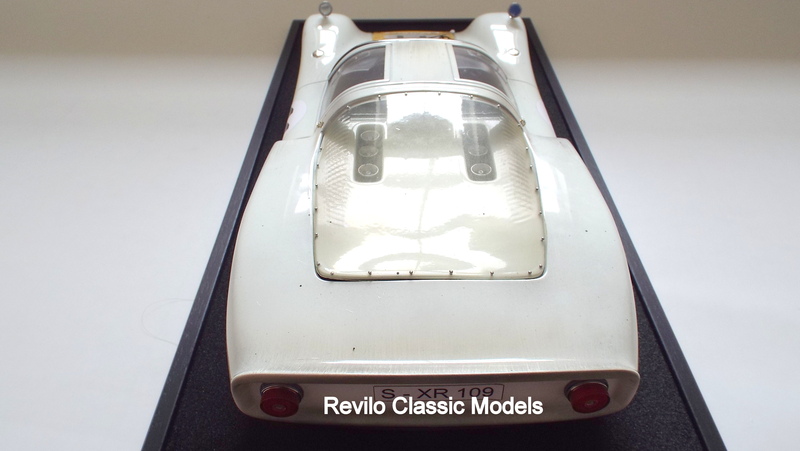 With fabulous detailing, the model comes with a black base, plaque detailing the car and the maker and a perspex cover. 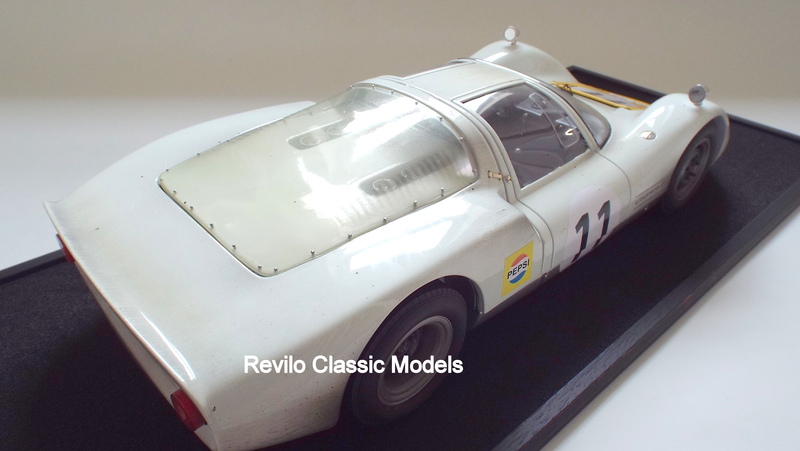 In its debut in the 1966 24 Hours of Daytona, the Carrera 6 finished 6th overall, and won its class against Ferrari Dino 206 Ps. 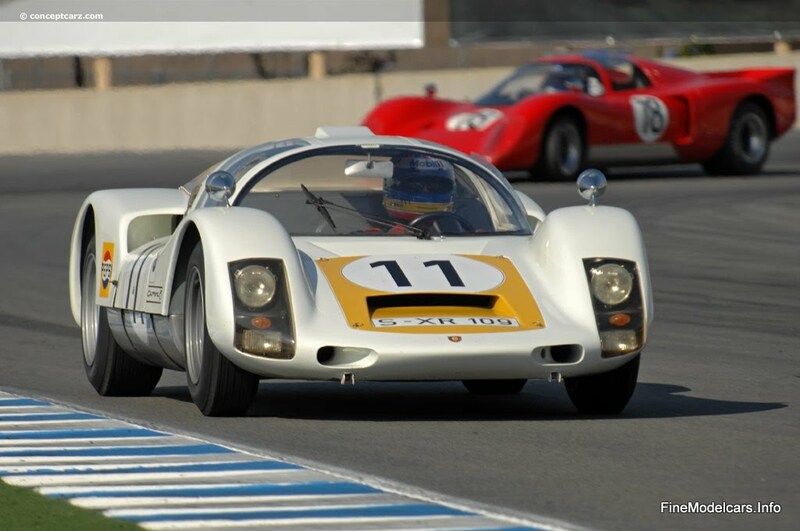 At the 12 Hours of Sebring, Hans Herrmann/Herbert Müller finished fourth overall and won the class, as at the 1000 km of Monza. 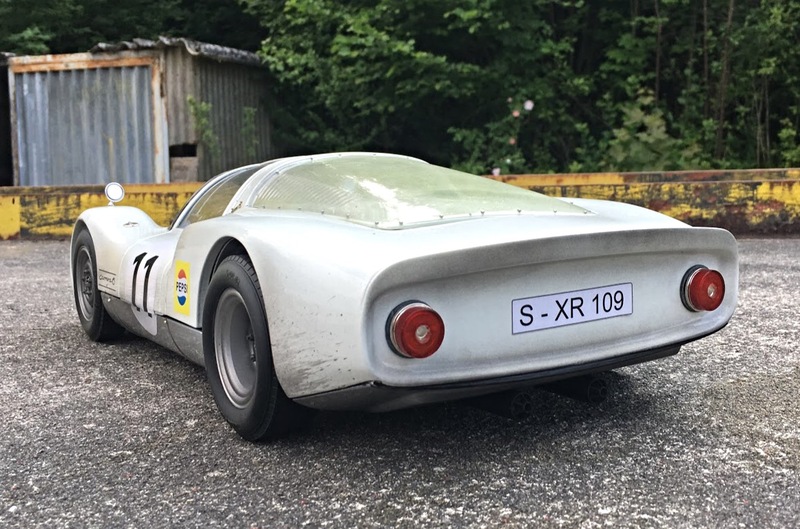 906s recorded class victories at the 1000 km Spa and the 1000 km Nürburgring, and Willy Mairesse/Gerhard Müller, driving a privately entered 906, secured an overall victory at the 1966 Targa Florio when the factory cars failed. 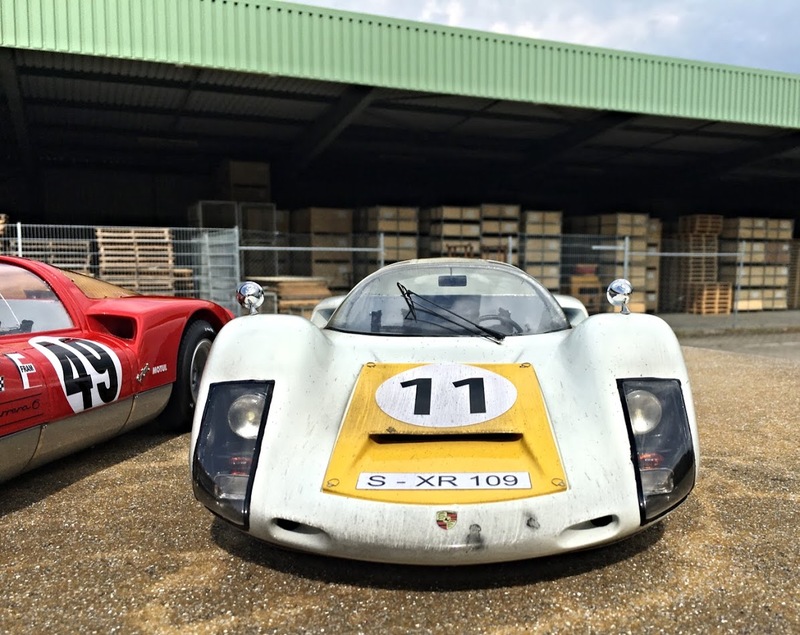 At the 1966 24 Hours of Le Mans, the 906 placed 4-5-6-7 behind three Ford GT40 Mk IIs, outlasting all of the previously dominant V12-engined Ferrari Ps.